radiotherapy for cancer at the base of the tongue. As for any form of therapy, risk–benefit ratios can be determined for undergoing treatment and for not having the treatment. HBOT is an expensive, time-consuming process. It is administered in a dive chamber, originally developed to counteract decompression illness (the "bends") from deep-sea scuba diving. Many cities of substantial size do not have a dive chamber. In fact, not all provinces have one. The potential need for distance travel could further stress an already troubled patient and his or her loved ones, as HBOT can take up to 6 weeks with treatment provided every week day. On the other hand, if we can prevent a serious complication such as ORN of the jaw, HBOT is likely worthwhile. Most of us are familiar with the 3 Hs—hypoxic, hypocellular, hypovascular—the characteristics of irradiated tissues, and it certainly makes sense that such tissues will be less likely to heal than normal tissue, especially following surgical insult such as dental extractions. The benefits of HBOT in reversing the 3 Hs are known, and HBOT has been recognized as the standard of care in the dental profession for many years. However, recent research and reports have questioned this assumption. Some even go so far as to suggest that HBOT may worsen the outcome.4-6 At major cancer treatment centres in the United States (e.g., MD Anderson and Sloan Kettering), large series of patients who have had dental extractions within the field of former cancericidal radiation dosages without the use of HBOT have not developed ORN. Currently, I am no longer recommending preoperative HBOT for this group of patients before extractions, implants or other minor oral surgery. In addition, all patients about to undergo head and neck radiation therapy should have a dental assessment, as this may go a long way toward preventing problems in the first place. If teeth require extraction, it would be best to do this before radiation or within a few weeks of starting radiotherapy. It is obviously important to ensure careful, clean surgical technique. Sharp bony edges must be smoothed, and primary soft tissue closure should be achieved where possible without overreduction of alveolar bone such that adjacent teeth or jaw structure are compromised. Should prophylactic antibiotics be used? It is probably prudent to use antibiotics in this group of patients, even though they would not be used before simple extractions in the normal population. Immediate preoperative chlorhexidine rinse may be beneficial, but there is no evidence to make this mandatory. It is incumbent on all of us to stay current with the literature, especially in terms of new developments that question previous recommendations and accepted philosophies. This is not the first time standards of care have been questioned, then modified or completely rewritten. It is inherent in science and part of what adds to the complexity of and interest in our ever-changing profession. There is considerable value in repeating experiments to provide corroborating support to or question previously accepted theories and practices. Marx RE. A new concept in the treatment of osteoradionecrosis. J Oral Maxillofac Surg. 1983;41(6):351-7. Marx RE, Johnson RP. Studies in the radiobiology of osteoradionecrosis and their clinical significance. Oral Surg Oral Med Oral Pathol. 1987;64(4):379-90. Curi MM, Dib LL. 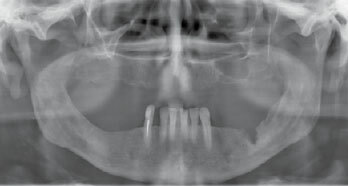 Osteonecrosis of the jaws: a retrospective study of the background factors and treatment in 104 cases. J Oral Maxillofac Surg. 1997;55(6):540-4; discussion 545-6. Annane D, Depondt J, Aubert P, Villart M, Gehanno P, Gajdos P, et al. Hyperbaric oxygen therapy for radionecrosis of the jaw: a randomized placebo-controlled, double-blind trial from the ORN96 study group. J Clin Oncol. 2004;22(24):4893-900. Epub 2004 Nov 1. Maier A, Gaggl A, Klemen H, Santler G, Anegg U, Fell B, et al. Review of severe osteoradionecrosis treated by surgery alone or surgery with postoperative hyperbaric oxygenation. Br J Oral Maxillofac Surg. 2000;38(3):173-6. D'Souza J, Goru J, Goru S, Brown J, Vaughan ED, Rogers SN. The influence of hyperbaric oxygen on the outcome of patients treated for osteoradionecrosis: 8 year study. Int J Oral Maxillofac Surg. 2007;36(9):783-7. Epub 2007 Jul 5.